World Dairy Expo celebrated its many volunteers with the annual Friends of Expo Party on Monday, December 12. The volunteers in attendance enjoyed an evening of food, friends and one last celebration of the 50th Anniversary of World Dairy Expo. Highlighting the evening was the announcement of the 2016 Friend of Expo Honorees, Jim Dickrell, Chuck Miller, Marjorie Stieve, Mary Latchford and Rita Paulson. Each of these individuals received special recognition for their faithful dedication to different facets of Expo. 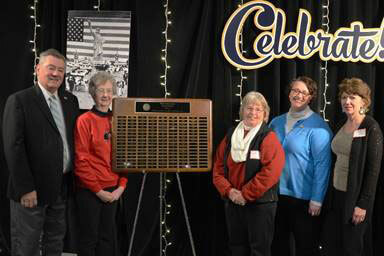 Chick Miller, Mary Langford, Rita Paulson, Marjorie Stieve and Debbie Crave were recognized for their contributions and dedication to World Dairy Expo at the Friends of Expo Party, December 12, 2016. Not pictured: Award winners Jim Dickrell and Joan Lau. Currently working on his 20th Official Program for World Dairy Expo, Jim Dickrell’s words have been read by Expo attendees for nearly two decades. 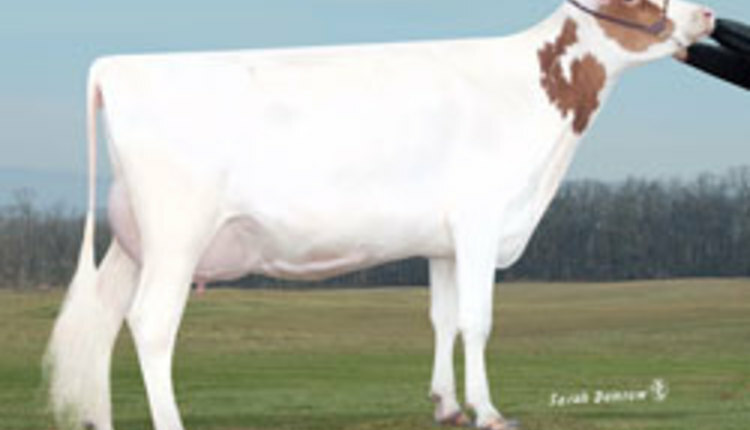 Dickrell began writing in 1989 about the dairy cow and the controversial topics surrounding her as the Editor and Associate Publisher of Dairy Today. Throughout the years, he has earned many accolades - including World Dairy Expo’s Industry Person of the Year in 2015 - for his service on multiple boards and for his thought-provoking articles in Dairy Today, Milk, Dairy Herd Management and the WDE Official Program. Chuck Miller, Director of Ag Sales at Nasco, goes above and beyond his duties as a member of the Expo Board of Directors, volunteering extra time and serving on committees. Every summer, Miller assists WDE staff members in selecting and ordering awards for Expo. Miller gladly took on the challenge in 2016 of creating a special 50th Anniversary medallion that was used for Dairy Cattle Show awards and Star Sponsor banners. For 25 years, Marjorie Stieve has played a role in Expo, first as an employee and now as a volunteer and member of the Commercial Exhibitor Committee. While on the WDE Staff, Stieve developed couch interviews, the Expo Daily Edition and post-show surveys. Now as a volunteer, she selflessly donates her time and talents before, during and after WDE, happily assisting with a variety of jobs. This past June, Stieve and her co-workers at Vita Plus Corporation generously donated their time as they hosted the annual Summer Picnic for board members and Expo volunteers. After retiring in the early 2000s, Rita Paulson and Mary Latchford began graciously giving their time to Expo. It started when Paulson would help twin sister, Ruth Stampfl, WDE Administrative Services Manager, with miscellaneous office tasks. A few years later, Paulson started pricing items for the Purple Cow Gift Shop and asked longtime friend, Latchford, if she would like to help. This duo is an irreplaceable asset, as the two of them, with the help of one other friend, priced close to 14,000 items in 2016 for the Purple Cow, along with working three days in the gift shop during Expo. After the Friend of Expo Honorees were awarded, recognition was given to Expo board members Debbie Crave and Joan Lau for their dedication planning and executing special 50th Anniversary events that took place during Expo in 2016. Over the past five years, directors Crave and Lau worked to ensure that Expo’s golden event was a celebration filled with activities for all generations, allowing attendees to embark upon a journey through WDE’s 50 years of history, while also focusing on the future. For five decades, the global dairy industry has been meeting in Madison, Wis. for World Dairy Expo. Crowds of nearly 75,000 people from more than 100 countries attended the annual event in 2016. 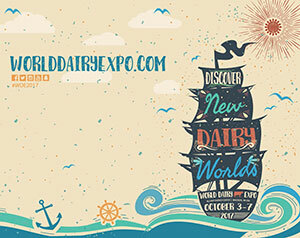 WDE will return Oct. 3-7, 2017 as attendees and exhibitors are encouraged to “Discover New Dairy Worlds.” Visit worlddairyexpo.com or follow us on Facebook and Twitter (@WDExpo or #WDE17) for more information.